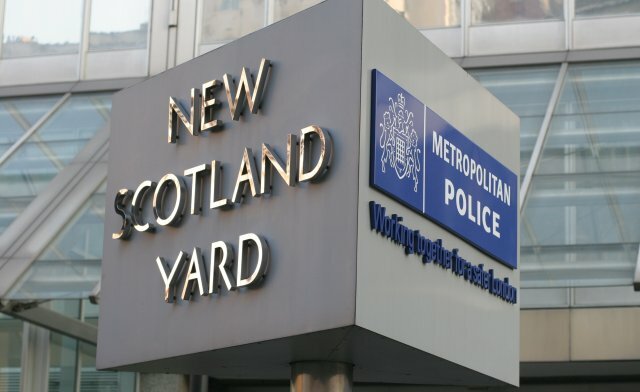 Scotland Yard was the headquarters of the London Metropolitan Police, but the phrase is popularly used to refer to the force itself, particularly its Criminal Investigation Department. Named after a street in London that may have been the site of a palace used by 12th-century Scottish kings, Scotland Yard became London's police center in 1829. In 1890, the force moved to a new building, and in 1967, it moved once again. They had to sell it in the end - for £370 million. With prices of property in Central London so insane, they needed the money more than they needed the property. Bought by investors from Abu Dhabi for rich criminals to buy luxury flats as investments and never even live in them. To me, the name is inseparably associated with Sherlock Holmes stories by Sir Arthur Conan Doyle. In all the old films the phone number was Whitehall 1212, if I remember correctly. It fronted on to Whitehall, and Great Scotland Yard was actually the rear entrance. Richard Horwood's 1799 map of London shows Great Scotland Yard on the eastern side of Whitehall, opposite The Admiralty. Below it are two streets that are culs-de-sac: Middle Scotland Yard, where Whitehall Place is today, and Lower Scotland Yard, entered from Middle Scotland Yard. Lower Scotland Yard was where the War Office building was erected in 1906, but was, according to the 1862 map, renamed Middle Scotland Yard when Whitehall Place, originally a cul-de-sac, took the place of the original Middle Scotland Yard. The Clarence public house, named after the Duke of Clarence, dates from 1896. It was attached to the opposite corner of Great Scotland Yard by an archway. the archway was removed the 1908 redevelopment of Great Scotland Yard and the end of the building was refaced with slightly different coloured bricks.